A furniture piece, if placed in the right spot, can enhance the richness of your decor and make it look spectacular for anyone who takes a glance at it. There are numerous varieties of materials from which furniture is made for households and offices, but a few of them promise prolonged durability and style at the same time. 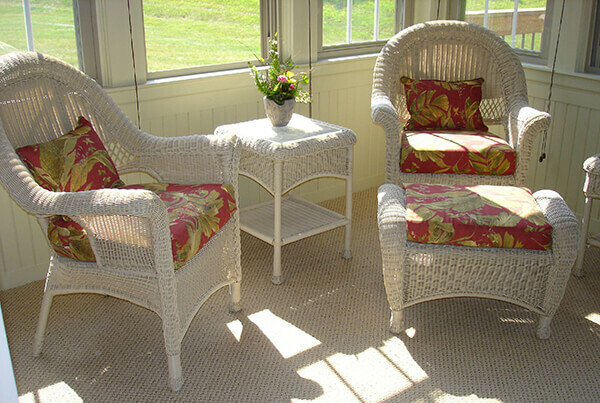 Cane furniture is that kind of furniture which exemplifies the strength and comfort. 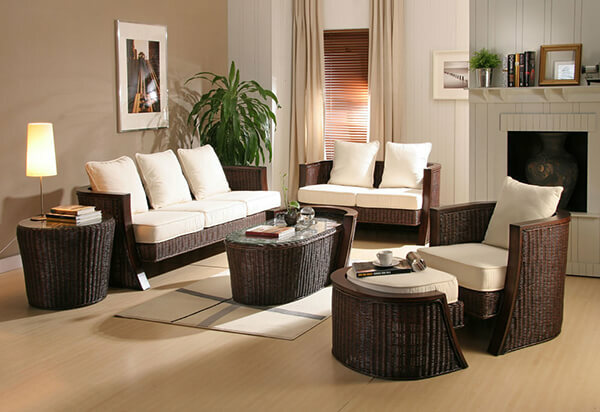 Cane furniture can be used for many decades if properly maintained and placing replacement cushions for cane furniture can be one such step which provides protection against damage. 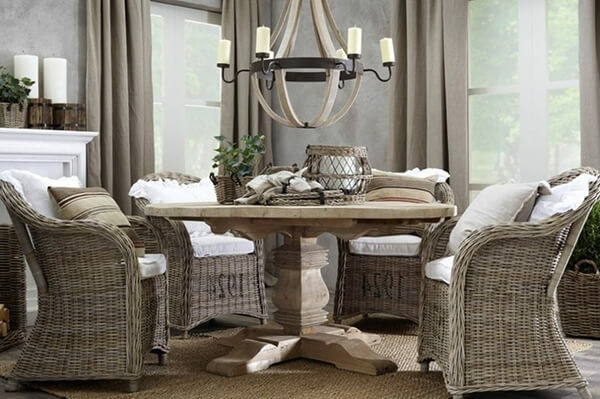 If you are wondering about how you can look after your cane furniture, then here are a few tips which can be helpful in setting a maintenance routine for your furniture. 1. 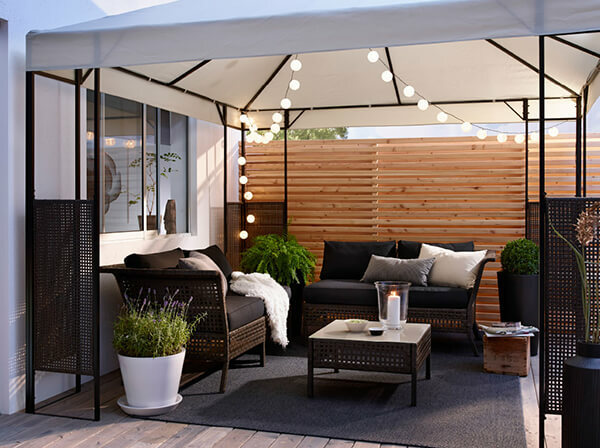 Protection from heat and humidity – One of the simplest ways to extend the life of your cane furniture is by placing them in a shady area, away from sunlight. Prolonged contact with direct sunlight can lead to brittleness which would lead to its breakage. Heater ducts should also be avoided as it may result in drying out of the cane wood. Low humidity is another enemy of cane wood and therefore installing humidifiers can be useful in keeping the furniture’s quality intact. Oil polish assists in keeping the furniture’s shine intact and also makes it supple. You could use lemon oil or orange oil a few times a year for effective results. 2. Keep the seat stretched – Cane seats have elastic properties but with prolonged use, they start to sag, and the seating becomes uncomfortable. To keep your seats secure and stretched as new, dip a cloth in warm water and apply it on the upside down of the chair. Let the cloth and base dry naturally to restore its strength. You could turn the chair upright and directly spray warm water on the chair and let it dry overnight. Do not allow anyone to sit on the chair for two days. Repeat this process on a regular basis to help prolong the life of the furniture. 3. 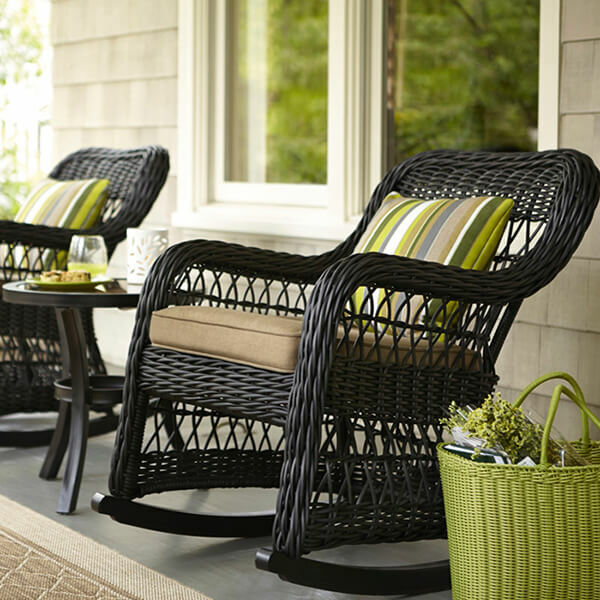 Evenly distribute body weight – Cane seats are durable and can withstand an exceptional amount of weight, only if the weight is distributed properly. A person should distribute the weight of the body equally on the chair and not partially, therefore, it is recommended that cane seats should not be used as ladders. Also, you should use chair cushions or cushion pads on the seating to help in even distribution of weight and also protect the chair from sudden shocks. 4. Eliminate mildew – If you witness any mildew on your cane furniture, then it is important that you get rid of it as it can loosen the cane and lead to its breakage. For protection against it, use a strong solution of bleach in warm water mixed with soap and use a q-tip to place it on the infected spots. Rinse well and dry under the sun. Be cautious as the bleach solution should not come in contact with the wooden part of the furniture and should be wiped off immediately in case of spillage. 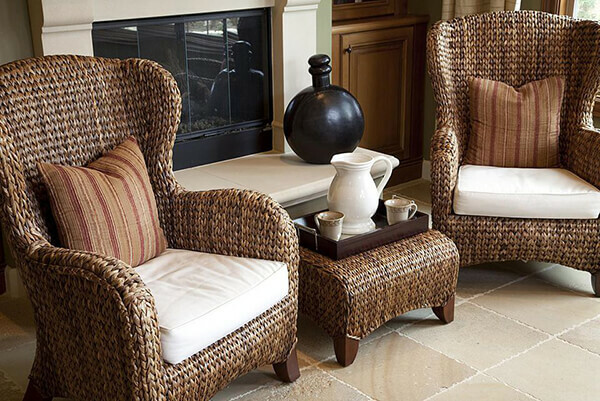 Replacement cushions can be helpful in protecting the surface of the cane furniture, and if they start fading, you can use replacement cushion covers for cane furniture for adding more vibrancy to the furniture. Make sure that you do not place your furniture in wet areas as high content of moisture or humidity can lead to mildews. A cane chair can last up to 25 years with high strength and comfort, and the above points can be helpful in that respect.